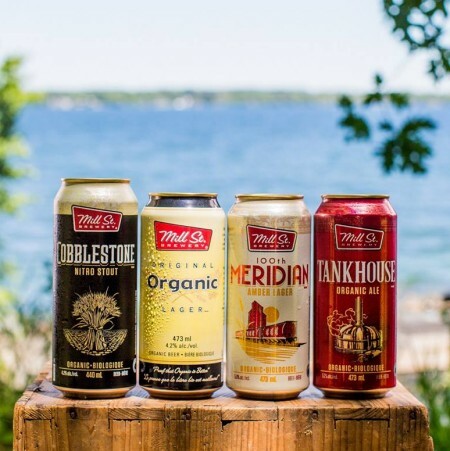 TORONTO, ON – Mill Street Brewery has announced that its core brand portfolio is now fully certified organic, thanks to the introduction of new recipes for Tankhouse Ale and Cobblestone Stout. Now known as Tankhouse Organic Ale and Cobblestone Organic Stout, the two beers join Original Organic Lager and 100th Meridian Organic Amber Lager in being certified to the Canadian Organic Standards. Mill Street’s organic line-up is available now at beer retailers across Canada.